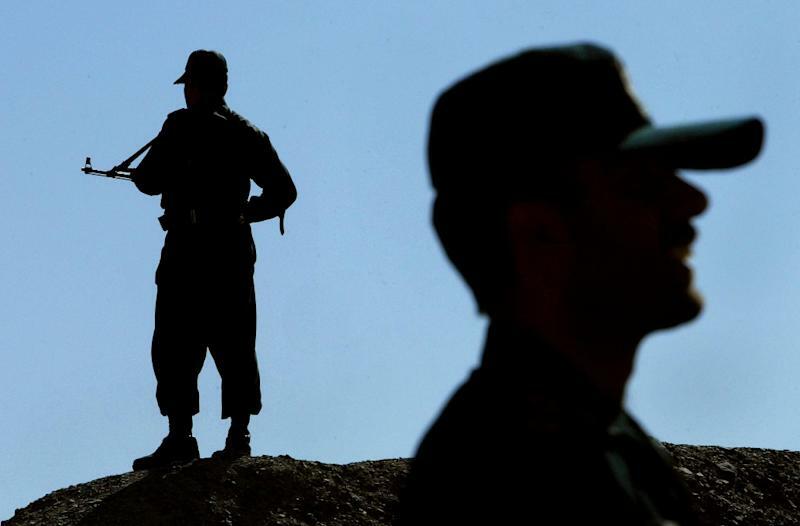 Tehran (AFP) - Eight Iranian border guards have been killed in a clash with Sunni rebels who had infiltrated from neighbouring Pakistan, Iran's official IRNA news agency reported on Tuesday. "Armed terrorists entered Iran from Pakistan and clashed with border guards, killing eight soldiers before fleeing back to Pakistan," Ali Asghar Mirshekari, deputy governor of Sistan-Baluchistan province, told the news agency. The southeastern province has a large Sunni Muslim community and has seen repeated attacks by militants on the security forces of mainly Shiite Iran. Sunni militant group Jaish-ul Adl (Army of Justice) said its fighters carried out the incursion in Negur district on Monday night, Iranian media reported. The clash was the deadliest since October 2013 when 14 border guards were killed in an attack also claimed by Jaish-ul Adl. Mirshekari urged Pakistani officials to "arrest the terrorists and hand them over to Iran to prevent Pakistan from becoming a parade ground for terrorists." There have been repeated deadly clashes in the border area. Three Iranian soldiers were killed in an ambush in December and three more in an attack in the town of Saravan in October. Earlier on Monday, ground forces of the elite Revolutionary Guards killed three suspected militants and wounded two in an operation in two towns north of Negur, their commander said. "On Monday morning, a terrorist group affiliated with foreign intelligence services was disbanded by the Guards ground forces in Qasr Qand and Nikshahr towns," General Mohammad Pakpour said in a statement, adding that multiple arrests were made. The security forces have also come under attack near Iran's western border with Iraq, another region with a significant Sunni community. Eight security personnel have been killed in the region since the Persian new year on March 21, the Fars news agency quoted deputy police chief for social affairs Brigadier General Saeid Montazer-al-Mahdi as saying on Tuesday. "Five border guards in Sumar, Kermanshah province and also three police officers in Hamidieh, Khuzestan province have been killed," Montazer-al-Mahdi said. Police made several arrests on Monday in connection with the Hamidieh attack, he added. In Sistan-Baluchistan, security forces also clash frequently with drug traffickers. The province lies on a major transit route for opium and heroin being smuggled from Afghanistan and Pakistan to Europe, the Middle East and Africa. Iran has spent millions of dollars building a wall along its 1,800-kilometre (1,050-mile) border with Afghanistan and Pakistan in a bid to prevent infiltration. Work on the barrier began in the 1990s and is expected to be completed before the end of the year, officials have said.